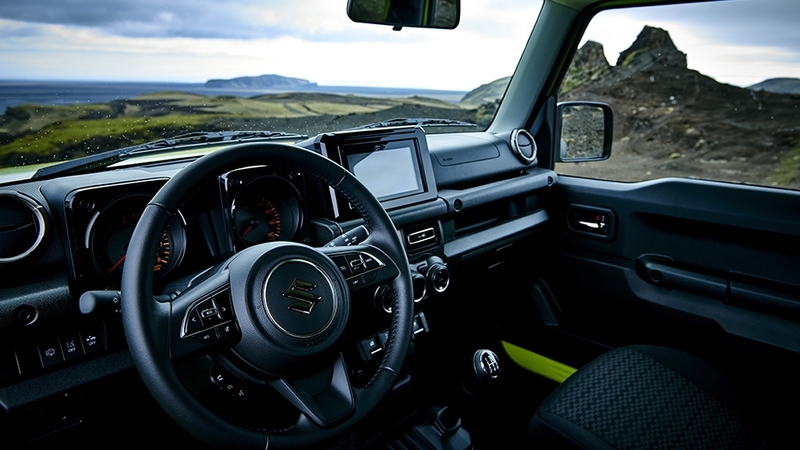 SUV’s have become the top choice of automobile-enthusiasts across the globe and that’s Suzuki has planned to unveil their latest Suzuki Jimny 2019 model, which is a perfect blend of toughness and the ultra-modern technology. 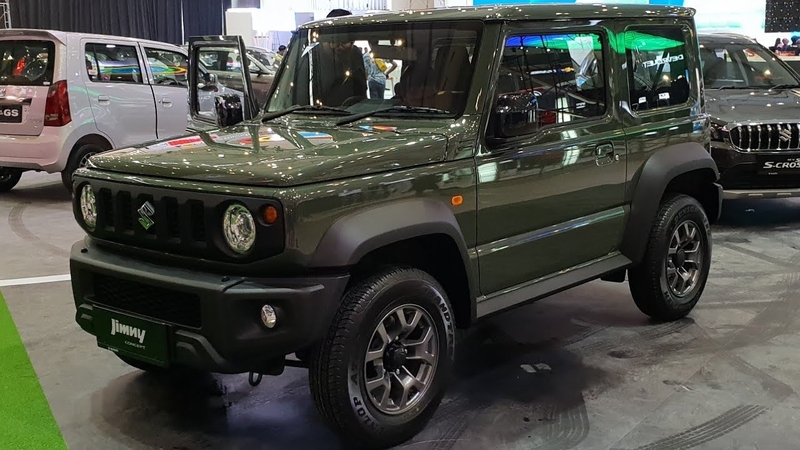 It should be noted here that Suzuki didn’t have any serious plan to reveal photos of their new machine online but unfortunately for them and fortunately for us someone leaked Suzuki Jimny 2019 pictures. Suzuki planned to unveil this mini-SUV in Tokyo Motor Show in 2018 but leaks from some reliable sources pushed them to unveil the photos of this upcoming car prior to that. We are still unsure as to whether the release date of this car will also be affected or not. 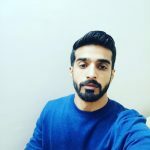 According to reliable sources, it would be untimely to talk about the release date as of now. Talking about the history attached with Jimny. 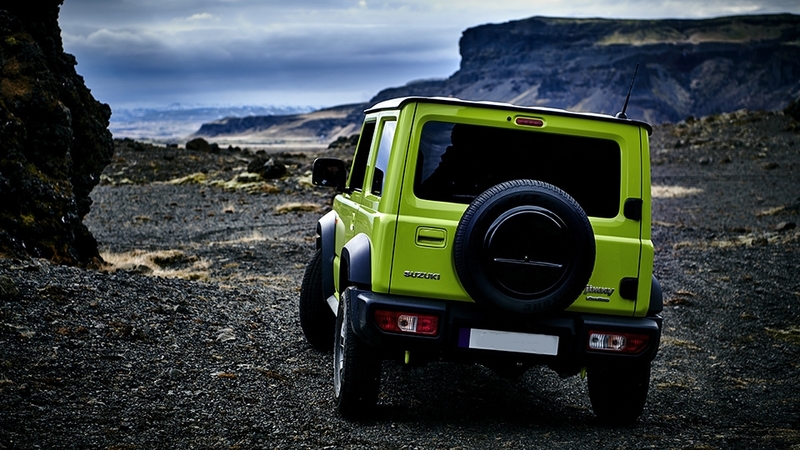 The Suzuki Jimny is the the predecessor to the iconic Suzuki SJ410 (launched in in 1970) and remarkably till today this little 4×4 marvel is in production.The all new Suzuki Jimny for 2019 is getting a Mercedes-Benz-G Class style makeover yet still maintaining its original lines. 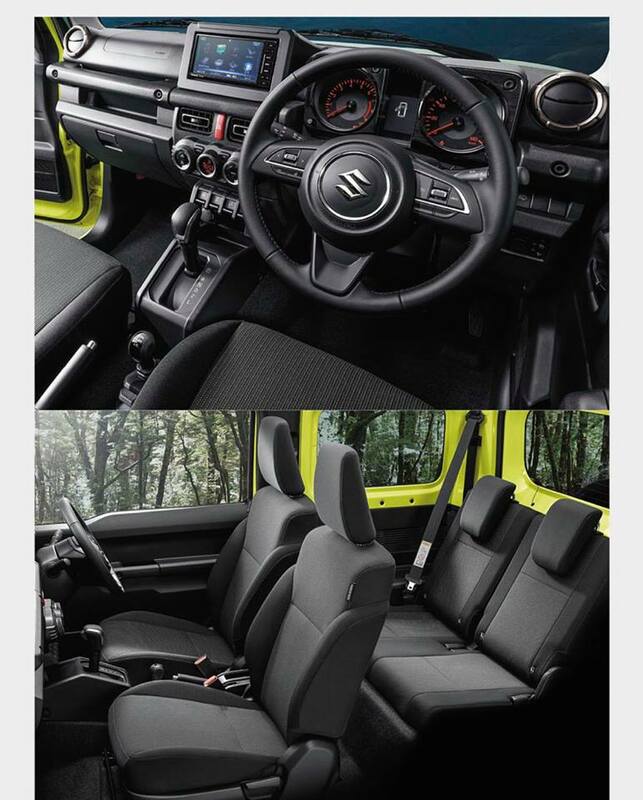 The infotainment with all the advanced look makes the interior look superb.Suzuki has managed to preserve the cars original rugged nature and amalgamate it with modern technology. It seems that this highly anticipated car will be released in first quarter of 2019 and experts are of the view that price tag for this compact beast will be around the £12,000 ballpark. 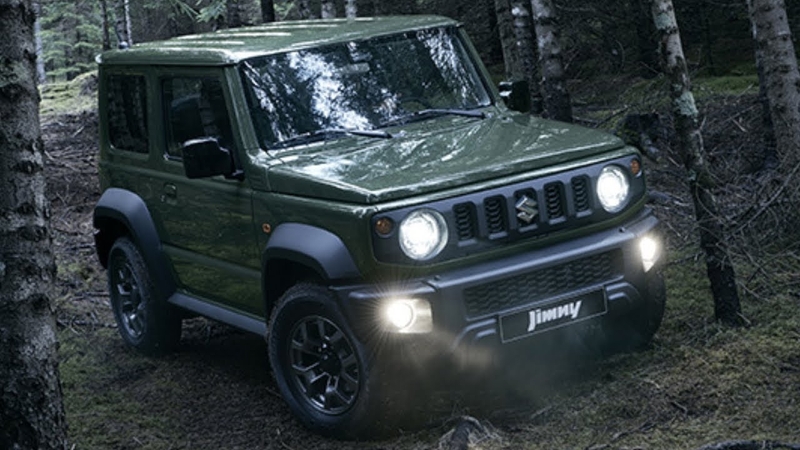 The Suzuki Jimny has a four-cylinder, 1,462-cc engine with multipoint injection system that generates 100 horsepower (75 kilowatts) at 6,000 rpm, while the peak torque of 96 lbs/ft (130 Newton-meters) is reached at 4,000 rpm. It will be launched with a standard five-speed manual gearbox with optimized gear ratios. 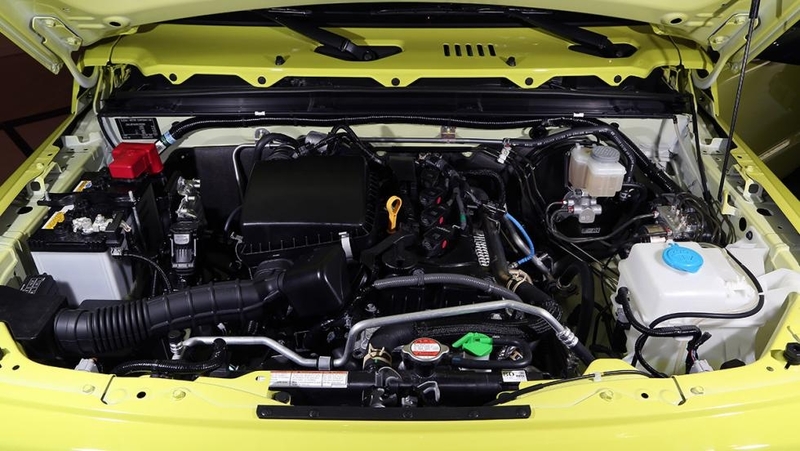 This delivers better fuel economy combined with more solid gear changes. 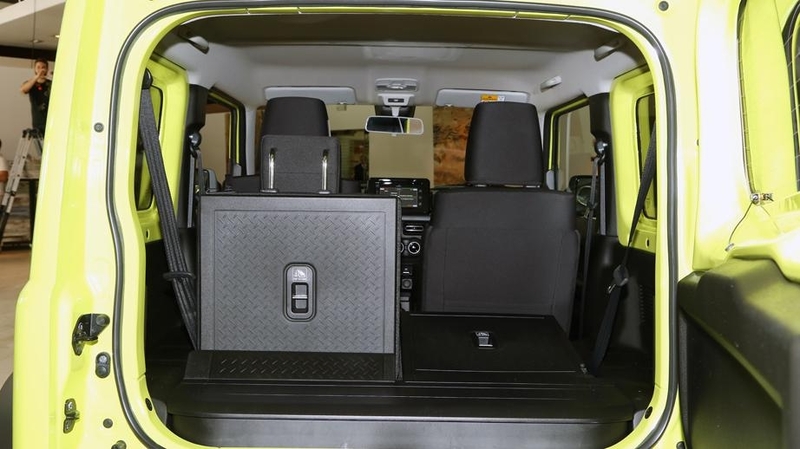 The new variant comes with new levers and transmission mounts to reduce vibrations in the cabin. The automatic variant comes with a four-speed automatic with an improved shift pattern. Suzuki’s new Allgrip Pro AWD system is a part-time 4WD system with a low-range transfer gear and three driving modes – 2H (2WD-high gear), 4H (4WD-high gear), and 4L (4WD-low gear), Modes are easily switchable via a shift lever directly connected to the transfer gear. The all-wheel drive is assisted by a brake LSD traction control system. 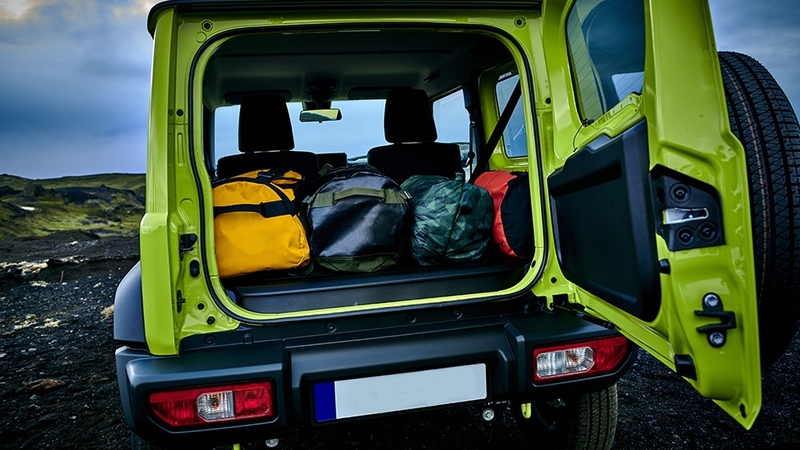 Naturally, the Suzuki Jimny 2019 rides on a ladder frame structure, but Suzuki have equipped it with additional suspension components to improve torsional rigidity. A new rear suspension layout means that the approach angle is at an impressive 37 degrees, ramp breakover angle of 28 degrees, and departure angle of 49 degrees.